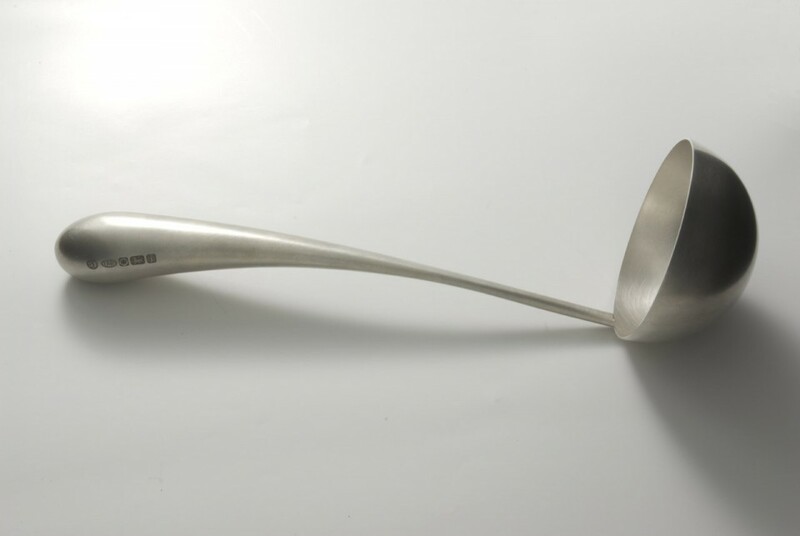 This ladle is made from Sterling silver. It is 35cm long. With this piece, more than any of the others, Stefan sought to capture an element of fluidity. It was the maker's intention that when viewing the bowl of the ladle horizontally, the handle would appear to be a surge of liquid erupting from within the bowl. The handle is hollow, it is press formed in two halves and soldered together. The bowl holds half a pint.